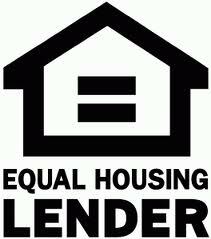 If you are interested in a loan, please contact Roger or Wendy at (570) 825-9950. Loans are disbursed by pre-scheduled appointment in our Wilkes-Barre office, and in many cases you can leave with the check! Please note that rates are subject to change without prior notice. All loans under $2,000 have a rate of 6.9%. Maximum loan of 95% NADA retail value for used cars. Maximum loan of 95% MSRP for new cars (not including dealer discounts). Maximum loan of 95% NADA retail value. Maximum loan of 90% NADA retail value. Vehicle must have book value of at least $7,000 to qualify. Maximum loan of 85% NADA retail value. Vehicle must have book value of at least $6,000 and 30 day warranty or guarantee to qualify. Mileage must not exceed average listed in NADA guide. No fees will apply for balloon rewrites where no new money is being loaned. If new money is taken at the time of balloon refinance, an application fee will be charged if a new appraisal is required. A new appraisal is required if the one on file is over 5 years old. For our members with existing balloon loans currently in process, lower rates will apply if you are refinancing without taking additional funds. Applicants must leave at least 5% of the loan balance on deposit in regular shares up to a maximum of $100.00. Signature loan limits are subject to your income level. A co-maker may be required. ** Manufacturer rebates count toward the 5% down. Dealer discounts do not. 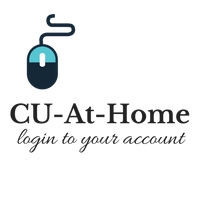 The Credit Union must be the first OR second mortgagee for all home equity loans. You may wish to pay off an existing mortgage or mortgages to consolidate payment or lower your interest rate.